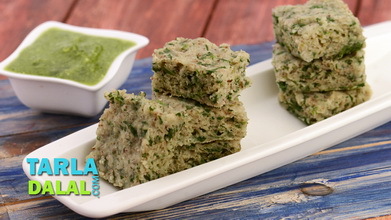 Combine the sprouted moong , spinach and green chillies and blend in a mixer using a little water to a smooth paste. 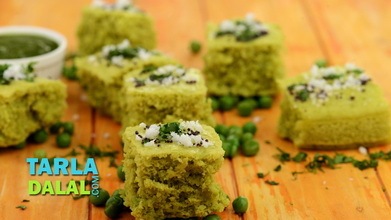 Transfer the paste into a bowl, add the salt, besan along with ¼ cup water and mix well to make a batter of pouring consistency. 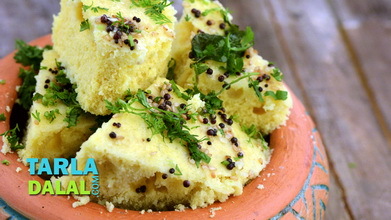 Pour the batter into a greased 175 mm. 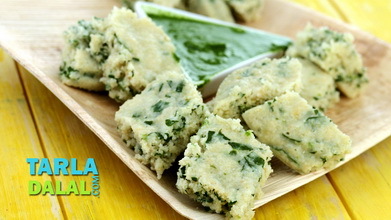 (7”) diameter thali and shake the thali clockwise to spread the batter in an even layer. 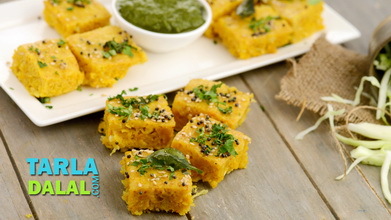 Heat the oil in a small pan and add the sesame seeds, asafoetida, curry leaves and green chillies and sauté on a medium flame for few seconds. 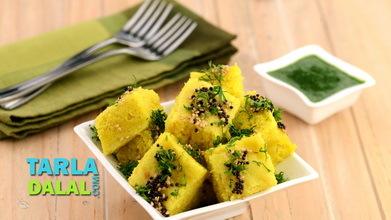 Pour this tempering over the dhoklas, cool slightly and cut into equal diamond shaped pieces. 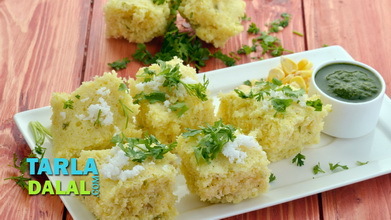 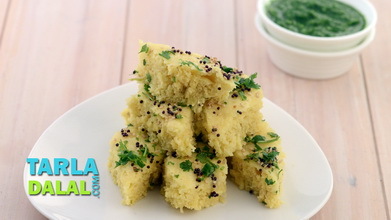 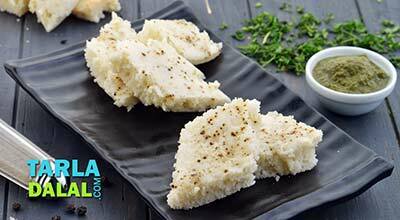 Cool the dhoklas for just about 30 seconds, so that they can be easily cut into pieces.